Basileo is a fun character to introduce if you’re exploring the topic of Greek Mythology with your kids. 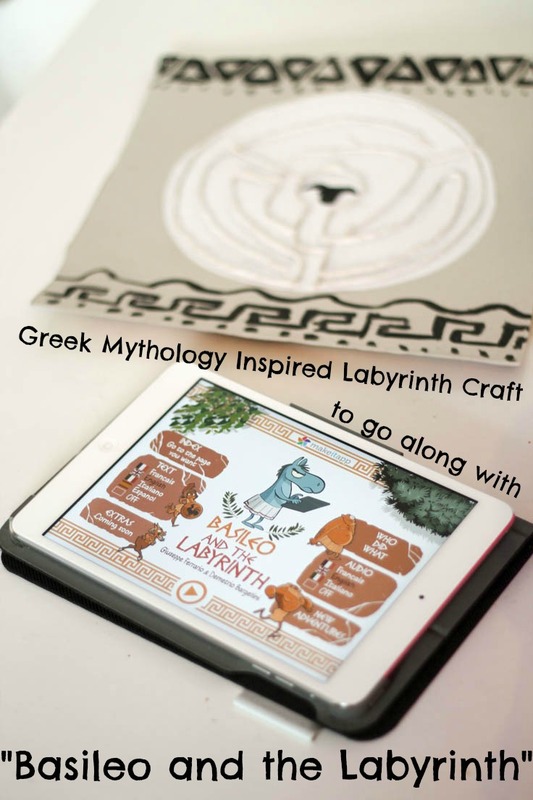 We tried out the iPad app “Basileo and the Labyrinth” and made our own Greek mythology inspired labyrinth craft to go alongside the story. Basileo and the Labyrinth is an interactive story, telling the tale of a little upturned centaur (instead of top half human and bottom half horse – he is the other way around!) 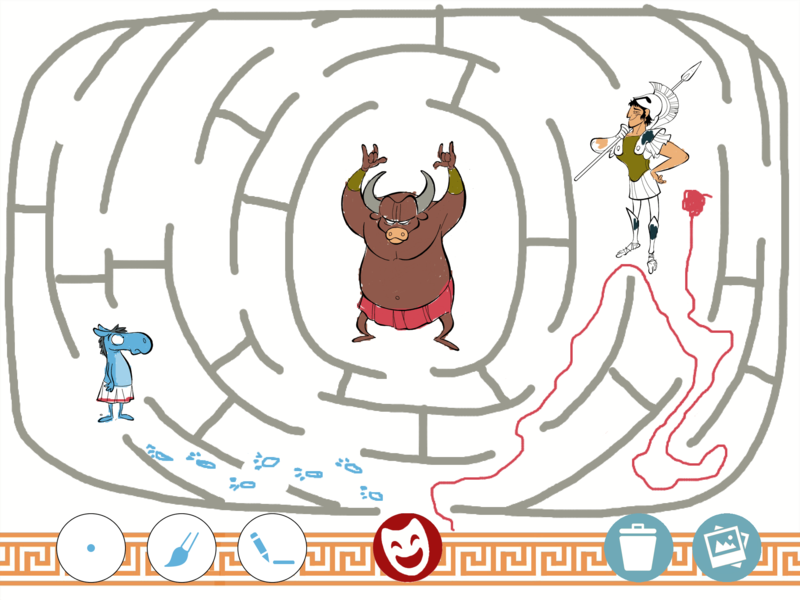 who travelled to Crete hoping to become a hero by defeating the minotaur in the labyrinth of Knossos. Basileo shows that size does not matter in becoming a hero, and he is a cute and loveable little character. 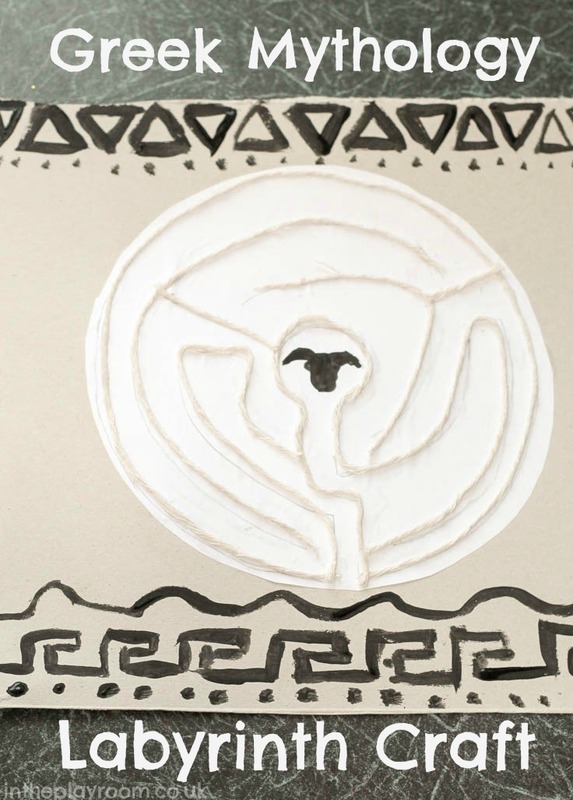 My boys love mazes, so the legend of the minotaur in the labyrinth grabbed their attention and was a great way to introduce them to the topic of Ancient Greece. We decided to make our own simple labyrinth craft to allow us to explore the Basileo story in a hands on way. After reading the story together in the app, we gathered our supplies. 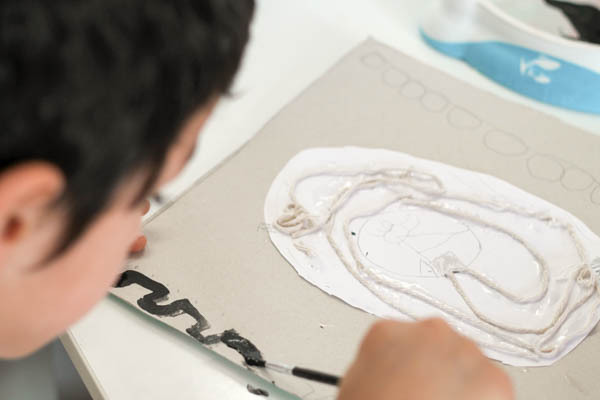 Draw a circle on your paper, using your small plate as a template. Then cut out this circle and stick it down onto your card. This will be the main shape of the labyrinth. 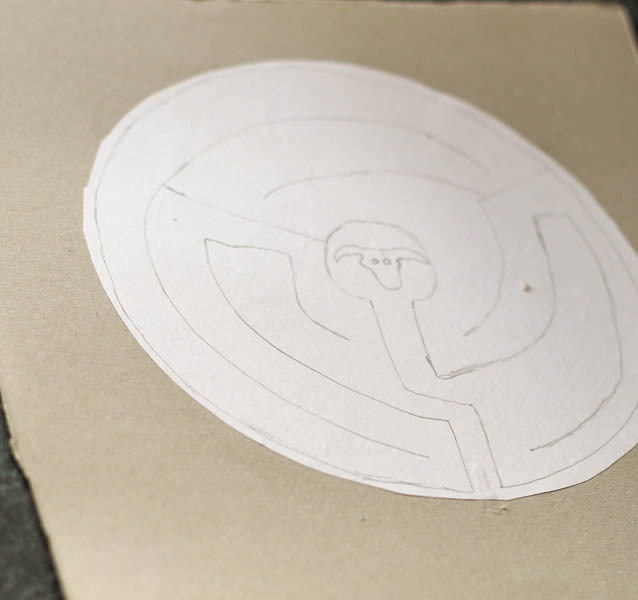 Draw a space in the centre of the labyrinth for the minotaur to live, and then start planning the route of your maze. You could also draw little Basileo inside the maze, or at the outside gate too if you like! It can be easier to draw the lines in pencil before sticking down your string. 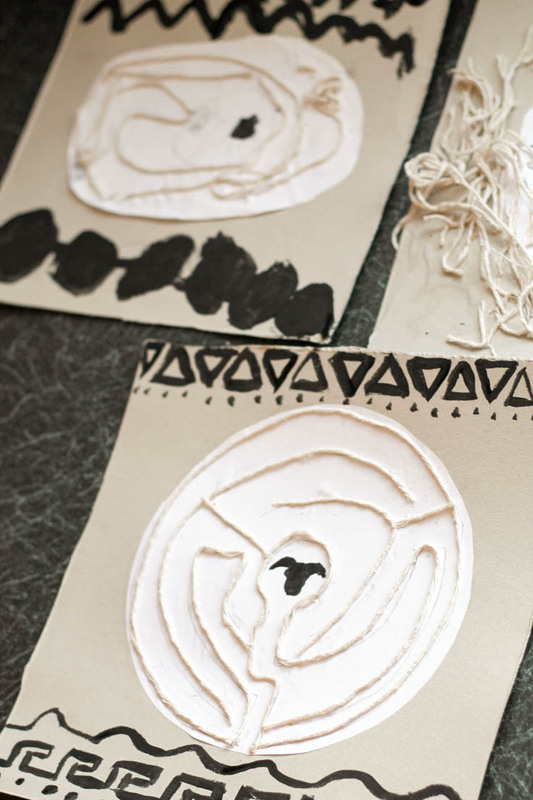 Once you have the outline drawn out, carefully glue your string on to show the shape of the labyrinth. 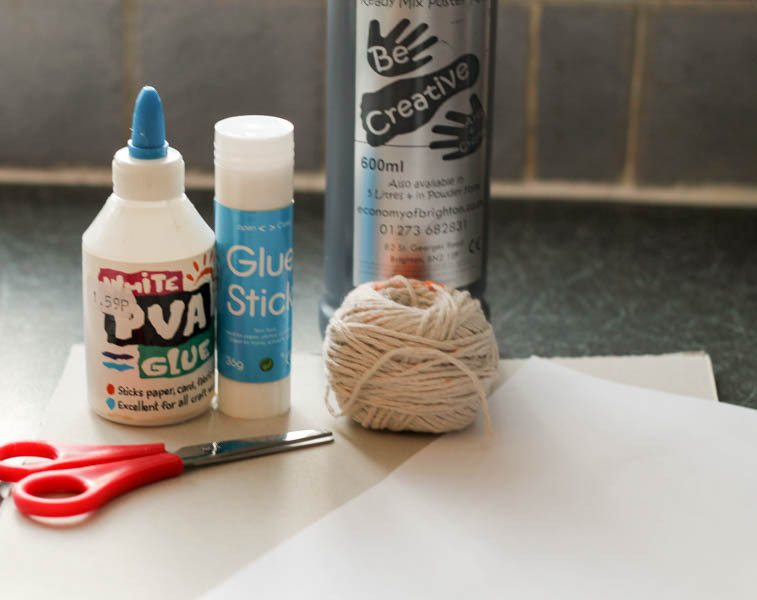 For younger children this can be a bit tricky, but my little ones still enjoyed having a good try with it. 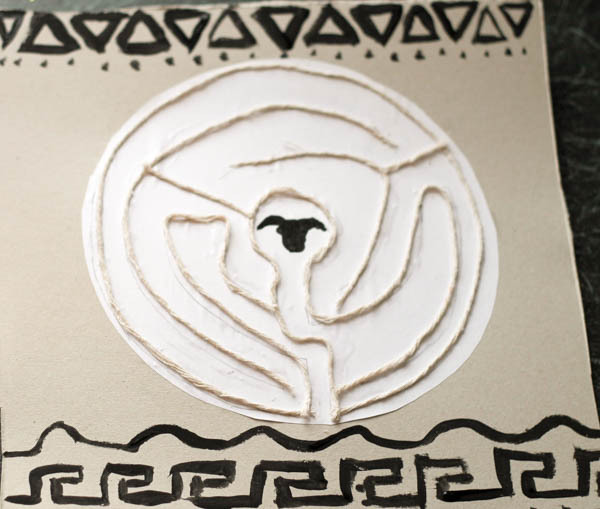 Once all of the string is stuck into place, draw or paint your minotaur inside the labyrinth. We took inspiration from ancient greek designs to make some patterned borders to decorate the rest of our page. We looked for some patterns within the Basileo app and thought up our own repeating patterns too. We used black paint to add these. Once your paint and glue is dry – your labyrinth pictures will be done. Basileo and the Labyrinth is a fun educational app from MakeItApp. It’s available through itunes for the current price of $2.99. The App works in English, French, Italian or Spanish and has a suggested age of 6-8 – but my 5 year old was also fine with it and enjoyed the story. The app has also been updated recently to add even more options, including a section for drawing. You can draw your own pictures using templates of the main characters. You could even draw your own labyrinth within the app like this! 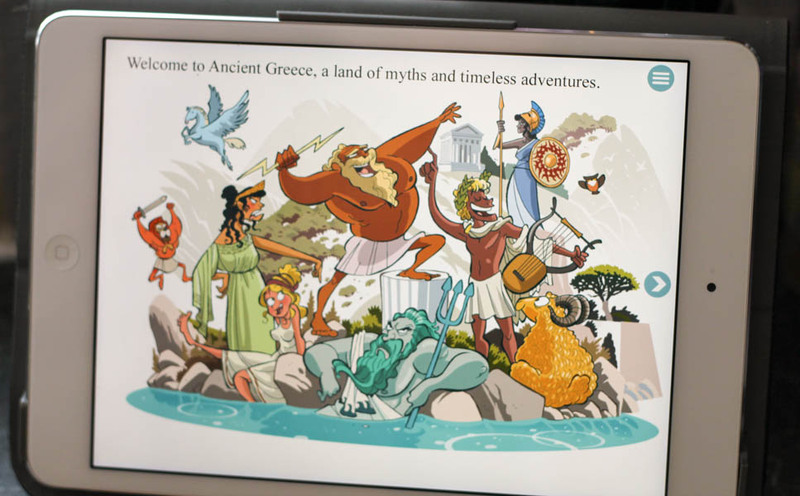 Have fun playing with Basileo and learning about Ancient Greece! That looks great! I’d like to introduce my son to Greek mythology (they’re the original superheros, right?!) but there isn’t much aimed at young kids. So fun! Thanks for sharing this app and craft! !